Accounting, Bookkeeping, Payroll & Tax Preparation in IndianapolisTMA Small Business Accounting, P.C. 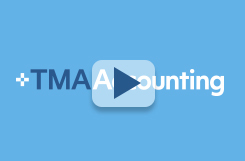 TMA Small Business Accounting, P.C. specializes in providing accounting and tax services to small business owners throughout Indianapolis and central Indiana. Our Small Business Accounting Services Package allows business owners to focus on the day-to-day activities of running a business while we focus on the accounting, tax, and payroll tasks. Why wait until the end of the year for financial statements? We work to give small business owners the resources needed to make well-informed decisions all year long, not just at tax time. Our services include: Small Business Accounting Services Package, Tax Preparation and Consultation, Accounting and Bookkeeping Services, and Payroll Services. We actively seek out and develop new processes tailored to meet the needs of small business owners. Our firm has been an active member of PASBA (Professional Association of Small Business Accountants) since 2005. PASBA is a nationwide network of CPAs and accountants serving small business clients across the country. Using this collective resource, members are able to offer their clients a level of service and expertise that individual practices are unable to rival. No other accounting practice in Indianapolis or central Indiana is as actively involved in supporting small business owners. 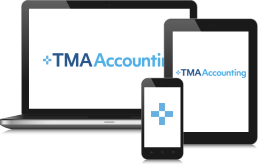 TMA Accounting has the proud honor of being named PASBA’s Accounting Firm of the Year for 2011. Our professional team of accountants and CPAs is dedicated to providing prompt support and accurate answers to your accounting questions. Our online Client Center provides secure and direct access to your accounting, tax, and payroll information. Wherever there is an internet connection, the information you need to run your business is at hand quickly and securely. We even have a mobile app available as a free download to Apple® or Android™ devices.